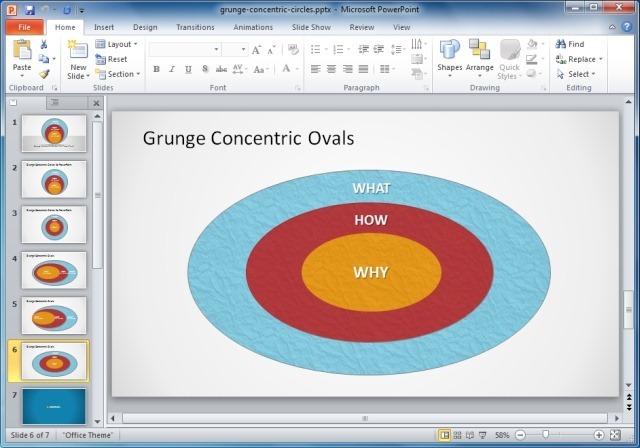 Venn Diagrams are widely used for business presentations where one may require showing the relationship between a collection of sets. 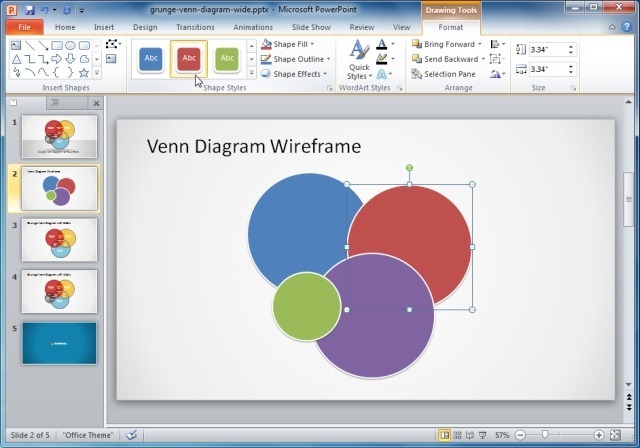 While such diagrams can be made using shapes and SmartArt Graphics in PowerPoint, however, they can often appear confusing if the color combination and layout is messy. 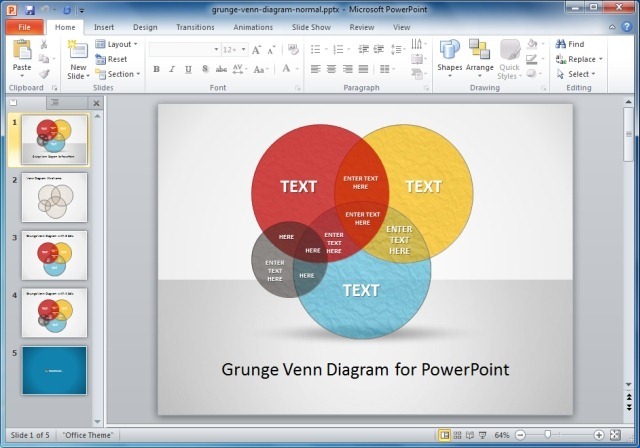 This is why one can save time and effort in making Venn Diagrams and also get some useful Venn Diagram ideas for making presentations with the help of readymade PowerPoint Templates. 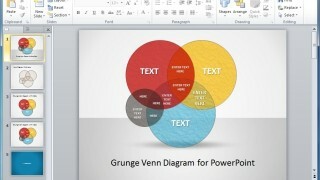 The Grunge Venn Diagram PowerPoint Template is a professionally designed template that provides highly customizable sample slides for making Venn Diagrams. The overlapping circles in this template come with different color combinations and a clean layout; which can be customized right down to the very basic objects in the given sample slides. This template is available in both Standard and Widescreen format and can be downloaded from the link given below. 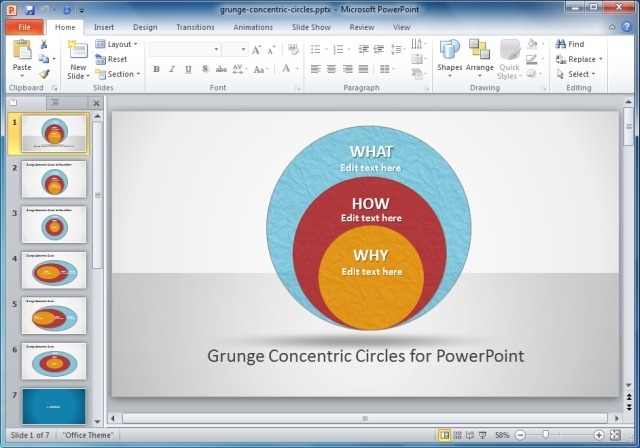 Another Grunge based template for PowerPoint that can be quite handy in quickly constructing Venn Diagrams is the Grunge Concentric Circles PowerPoint Template. This template comes with textured objects and different shapes for making different types of Venn Diagrams. The diversity in shapes can be useful in constructing diagrams for representing a diverse range of processes and can also be helpful in differentiating one type of process from another (during a PowerPoint presentation). For more details about this template, see the link given below. This is another fine template for making Venn Diagrams. 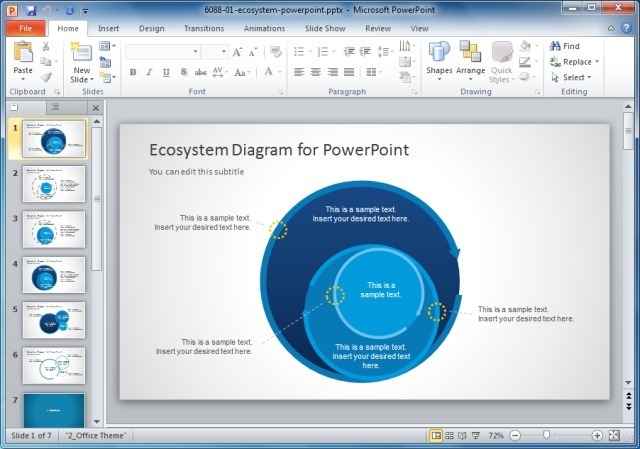 It provides 6 awesome slide designs in the form of circular diagrams. 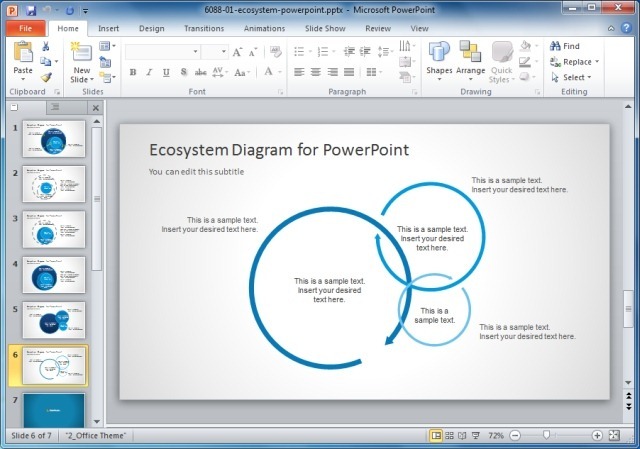 While this template has been designed mainly for biology or eco-system related presentations, however, you can also use this template to create Venn Diagrams related to business or production processes, a community, network of objects or people, etc. To see an example of sample slides and to download this template, check out the link given below. Tags: Analysis Templates, Business, Business Analysis Tools, Business Diagrams, Business Ideas, Business PowerPoint Templates, Business Presentations, Business Templates, Diagram Templates, Templates, Venn Diagrams.